William Troost-Ekong believes it was the right decision to switch allegiance to Nigeria after representing Holland at U21 level. 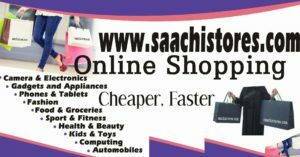 -The rugged defender insists it is right to go to where you are loved and appreciated -The former Tottenham youth player has likened Saturday’s Pre-World Cup game between Nigeria and England at Wembley as ‘homecoming’ Super Eagles defence ace, William Troost-Ekong believes it was the right decision to switch allegiance to Nigeria in 2015 after representing Holland at U21 level. In an interview with the UK Telegraph, the 24-year-old Bursaspor’s rugged centre-back who was born in Holland, but started his football career in North London disclosed that the journey the top was not an easy task. “You have to go where you are loved, where you are appreciated,” he opens up. “It is more appealing for younger players. 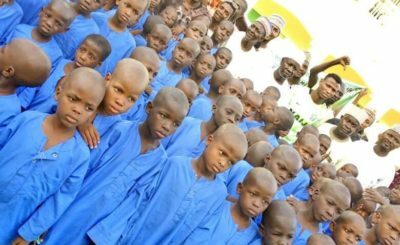 It is opening doors for foreign-born Nigerians, and I think there are going to be more to follow. 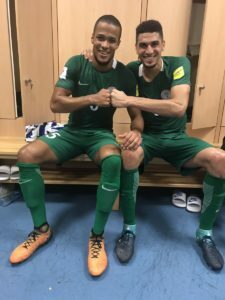 Nigeria is a giant of African football,” admitted Troost-Ekong who also has the duo of Chelsea’s Victor Moses and Arsenal’s Alex Iwobi as Eagles’ teammates after they chose to represent Nigeria instead of England. Speaking further, Troost-Ekong who was born to a Nigerian father and Dutch mother, insists that despite his heritage of being half Nigerian and Dutch, he also feels at home in England, where he had his early football lessons and is also expecting his first child from his fiancée too. “When I am in Holland they see me almost as a foreigner because I am not a typical Dutch guy,” he notes. 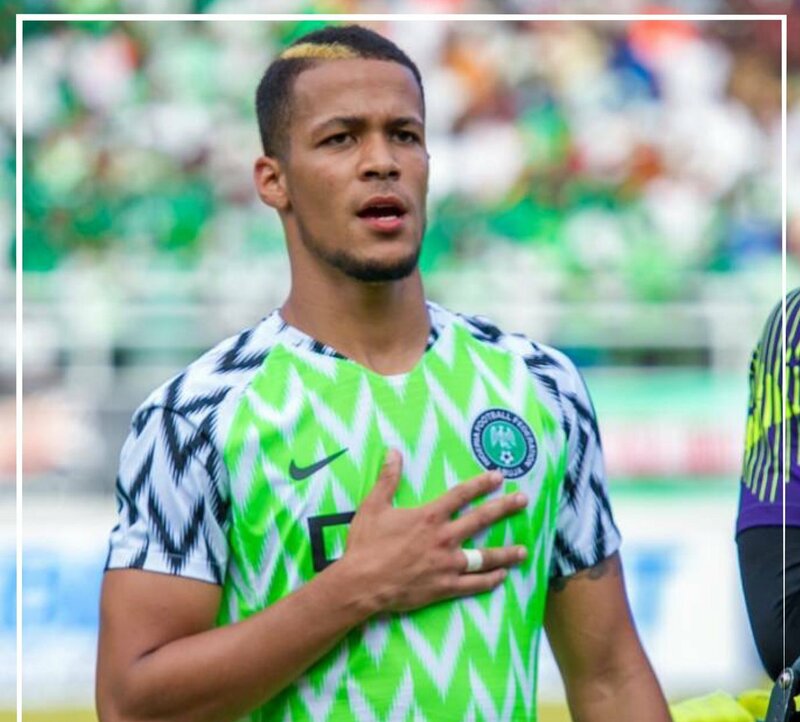 “And when I go to Nigeria they see me as a foreigner as well, so there has never really been somewhere where I can say: ‘OK, this is me.’ I have always had a bit of that, but it has become part of me,” stressed Troost-Ekong who debuted for the Eagles’ in 2015 after an impressive display at Dutch side, FC Dordrecht while on loan. “There were a lot of doubts over me because I did not play for a big team in Holland before my first call-up,” he continues. 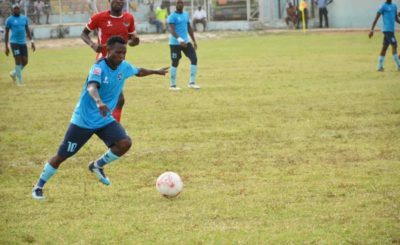 “Then, on top of that, being ‘Oyibo’, or half-white, you have to prove yourself even more,” added the defender who was member of the Dream Team IV that claimed bronze at the 2016 Olympics in Brazil. 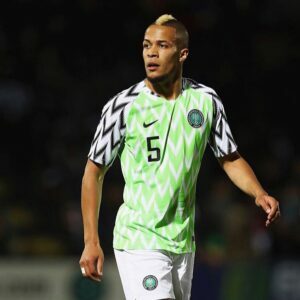 Surprisingly, Troost-Ekong could not come to terms when former Eagles coach and legend, Sunday Oliseh accused him of not showing enough quality that is required in African football. “My partner at centre-back (Brighton new signing Leon Balogun) is half-German, half-Nigerian, so he is the same as me,” Troost-Ekong says. “After a game, he (Oliseh) said we were too soft to play against African players. That upset me, because one of my traits as a player is that I am someone who does not back away from anyone. I am not the most skillful, but I know what I am good at. “I think that’s part of being from different countries, different cultures. It’s not nice when people try to use that against you. I identify myself as being Nigerian as well, and I feel at home in the team. Not once have I ever looked around and thought ‘this is not for me’. But it spurred me on. I have played against African strikers since then and no one has bullied me. I have proven my point,” he notes, even as he was quick to add that Saturday’s Pre-World Cup friendly game against England’s Three Lions at the Wembley will be a sort of ‘homecoming’ for him. “It’s a long way round,” he says with a smile. “The longest way round,” added Troost-Ekong, who is expected to stop former Tottenham mate, Harry Kane from scoring against Nigeria during the Pre-World Cup friendly game this weekend. “He was one of the first guys that sat me down and helped me,” Troost-Ekong recalls. “It’s amazing to see how well he has done.” Fondly known as ‘Oyibo wall’ by fans and admirers, Troost-Ekong look good to play a big part in the heart of the Eagles defence line during Nigeria’s campaign at the 2018 FIFA World Cup in Russia next month. “Croatia and Argentina are probably the favourites,” Troost-Ekong says, but with players like Moses, Iwobi and captain John Obi Mikel, the Gernot Rohr Eagles’ side has a good blend of youth and experience that will pose threat to opposing teams at the Mundial. The former Chelsea star revealed there was a dispute between the Football Federation and the players which led to a boycott in training. 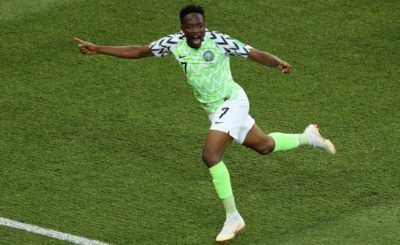 The men in Green and White lost to France by 2-0 by two second half goals as the three-time African champions failed to go beyond the last 16 for the third time asking.